This story started when I saw the posts for the REVIC scope last year. I thought the integration of the ballistics into the scope would be a great way to cut my workload (some) during one of my favorite matches of the year, Steel Safari. If you haven’t heard, Steel Safari is a 3-day match at the beautiful Blue Steel ranch outside of the sprawling metropolis known as Logan, NM. The match is a 3-day hike and shoot with 8 or 9 unknown distance and blind stages. You are assigned a start time and a range (North, South, or West) and you start using your advanced hiking and tracking skills (follow the orange or pink tape) to your first stage. Once at the staging area, you prep your gear for the stage. The shooter (RO) that went out 10 mins before you calls you up and lets you know if this is a 1 position / 6 targets stage or a 2 position / 3 targets stage. The RO then shows you the left and right boundary markers (paint on rocks or yellow tape on bushes) to let you know where to look for the targets. You pick up your gear (everything must be off the ground) and the RO starts your 5 min timer. You have to find the targets and determine their distance. Once you have the distance, you need to refer to your DOPE and figure your wind call. Many competitors will use a DOPE sheet and write down the dope next to the distance on an armboard. Then you need to figure out what position to use (a lot of it is not prone…), find the targets again and start to engage the targets letting your RO know where you are shooting. It’s a lot to do in 5 mins. So, back to the scope. I immediately thought the REVIC would help during Steel Safari since I wouldn’t have to refer to a DOPE card for either the elevation or the wind call. That peaked my curiosity, so I emailed them and asked if I could test out one of their scopes during the match. They agreed and sent me what appeared to be a brand spankin new scope to scratch up (more on that later) I mean test. Haven’t heard about REVIC scopes? These scopes are the next evolution in electronics in scopes with ballistics tied to the elevation turret. These scopes have an LCD screen built in and don't need a separate ballistics app or Kestrel with ballistics to function (you need an app to set it up, but not to use in the field). You still need to figure out the range. But instead of taking the time to look up the DOPE for that range, you simply look through the scope at your target and dial the range on the elevation turret. Then you can set what the wind is doing and the software will give you the wind hold on the internal display. 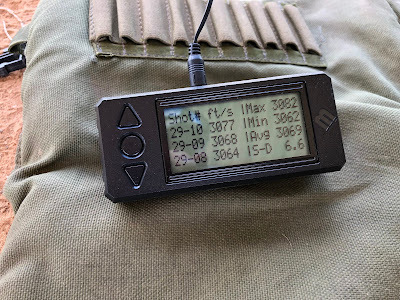 This scope is great because if you know the distance (most all PRS matches give you the distance although I laser rangefinder them anyway to confirm) and the wind you simply input the wind (I inputted the wind once during a local PRS match) and dial the distance. Look at the display for the wind hold and adjust the reticle to that hold. During my last local PRS match, we had a stage with (1) 2MOA and (1) 1MOA targets at 550, 650, 750, 850, 950. One shot each target for 10 points. I shot a lower wind hold thinking the wind let up on the 1st shot and missed but that confirmed I should be following what the scope was telling me. I dialed the distances and used the wind holds from the scope and went 9 out of the 10 available hits. We had another similar troopline stage where I cleaned it. Having the ballistics in the scope reduced my overall workload and was giving correct elevation using the environmentals at that particular second leading to what I think was a higher overall hit count for that match (I usually finish 7-8 with that field of shooters, I was 4th at the match I used this scope in). Zeroing is a breeze with the tool less zero turrets on the REVIC. On the REVIC, you zero using the clicks and then use a bullet to unlock the turret/zero stop. Move the turret to the zero mark and voila (that’s French for its set)! On the MOA version, this setup means that the closest you’ll get to a “perfect” zero is ¼ MOA. This is because the zero-reset feature re-aligns the turrets to the zero-mark using turret clicks. In contrast is the Vortex HD2 zero process does allow you to get to that perfect impact point with the crosshairs. The Vortex setup is more complicated and needs an allen wrench and a screwdriver. Vortex does provide these in the form of a small tool. I’m wondering if on the MIL version that REVIC is working on, that they will use the same tool less/click design. If so, the closest you’ll get to a perfect zero will be a 1/10 Mil or .36” at 100. Not a big deal since there are a number of high-end scopes that zero the same. The ease of physical zeroing with these turrets maybe worth the price by itself! Once you physically zero, you go into the scope software via the external control buttons and tell the scope that the position the turret is in is now zeroed. You also set North within the scope at this time as well. Pretty simple! Setting up the ballistics. In order for the scope to know what your load specifics are, you need to input the details. REVIC makes this easy with a app that connects to the scope via Bluetooth. You name your load and input the caliber, bullet weight, FPS, scope height, ect. You can then connect your device to the scope to transfer it over. Easy Peasy! External controls.Lesson learned on carrying the rifle and dimming the display. On the 2nd day, I had a lesson learned moment. When walking from the staging area up to the stage (maybe 50-100yds), I wanted to be able to drop my gear quickly once on the stage. So, I wasn’t slung across my back or chest. I carried the rifle in a shoulder arms with the parallax/control buttons turret against my shoulder. Props for those who already jumped to the lesson learned. When I got to the point of engaging targets, the display was off and pressing the power button didn’t seem to wake it up. On that stage, I switched to my backup DOPE sheet and finished the stage. Turns out, I was dimming the display as I was walking up with how I was carrying the rifle. Lesson learned and I swapped to the other side of the rifle. Environmentals. Another lesson learned, which I wasn’t able to test/confirm was ground heat impacting the ballistics. It was hot (heat index in the 100s) during the 1st day of the match. It was better the next 2 days, but still warm. I usually shoot with an AB Kestrel and have learned not to let it cook in the sun on the ground since this can drive up the temperature and cause the elevation come ups to be exaggerated. With the ballistics being integrated in the scope and setting the rifle on the ground (on deployed bipod) I think the scope maybe impacted by the same issue. After the 1st day of having some high misses, I started to put a bandanna over the scope and that seemed to help on day 2 and 3. I users that buy this scope will be able to prove this out with more use of the scope. Glass. I used my MOD 0 eyeball and the glass looked great! To provide some context I shot Vortex HD2 4.5-27s for the last 2 years and just received my 1st S&B. To me, the glass was very good and clear. I believe this is the same or similar glass as in the Vortex HD2s. I had a number of shooters look through the REVIC during the club match and they all remarked on how “clear” the glass was (without asking for their opinion). Tracking. I didn’t get a chance to specifically test the tracking of the scope with a tracking target. Some of you will be offended by this. Sorry! I did take it out to 1K on a known distance range and made hits on 1MOA targets. I was happy with this, but I get that I should have tested the tracking using a specific target. Same with testing the MOA reticle. Durability. Unfortunately, I did drop test the scope. Not on purpose. I was performing preventative maintenance on my rifle after the 1st day of competition at Steel Safari. I had the rifle sitting on the lower bench of a picnic table and accidently tipped it over. It landed on the elevation knob and parallax knob. The impact did create an issue on the elevation knob where the zero reset would not work without doing some aluminum surgery. The knob turned freely as before, so the overall function of the scope was not affected. I’m guessing that the turret and zero reset stop will need to be replaced. The parallax knob retained its function. The reticle zero was not changed and since I didn’t have to re-zero I wasn’t impacted during the match. I’m glad it didn’t hurt the zero, but if it did I think I could have used the zero-offset feature in the app to get back in business. · Dialing the distance while looking at the targets in a multi-target stage (reducing workload). · Elevation and windage calculated real-time using atmospherics. · Glass clarity, turret knob design. · Ease of use with the tool less knob zeroing/stop. · MIL version. I’ve only shot MIL/MIL for years. However, with only needing to dial the distance this scope being MOA/MOA didn’t impact me in performance. If I needed to use the reticle to measure I probably would have been lost (without a cheat sheet). REVIC did say they were working on a MIL version. · Tree Reticle for matches that have hold-over stages (although this doesn’t seem to be an issue for the top PRS shooters who use non-tree reticles. REVIC did say they received this request from other folks and they are looking into it. · A button lockout feature (looking to see if they already have this) so you can’t dim the display while carrying (wouldn’t impact you if the scope wasn’t on, so if you aren’t on the clock this may not be a big deal). Something like a multiple button press to lock and unlock. · Weight reduction. Since this scope is using a similar design as the Vortex HD2s, it’s kinda heavy. It would be nice to see this in a lighter overall package. · Integrated laser rangefinder. When I showed the scope to people who didn’t know about it, all of them asked about the rangefinder. I had to correct them and tell them about the features. Many said having a quality integrated 1K+ rangefinder in a scope of this quality would seal the deal for them. We’ve seen other MFGs (Burris) attempt this combo for the hunting market. I did use a Silencerco Radius about halfway through day 1 and some of day 2. It’s a nice combo, but raising my head to see the Radius display, then looking through the scope and dial the distance wasn’t ideal. I didn’t practice with this combo enough to be really effective with it though. It did allow for me to tell my RO exactly what target I was engaging. But I don’t think this would replace the need to find the targets with binos and their much larger field of view. 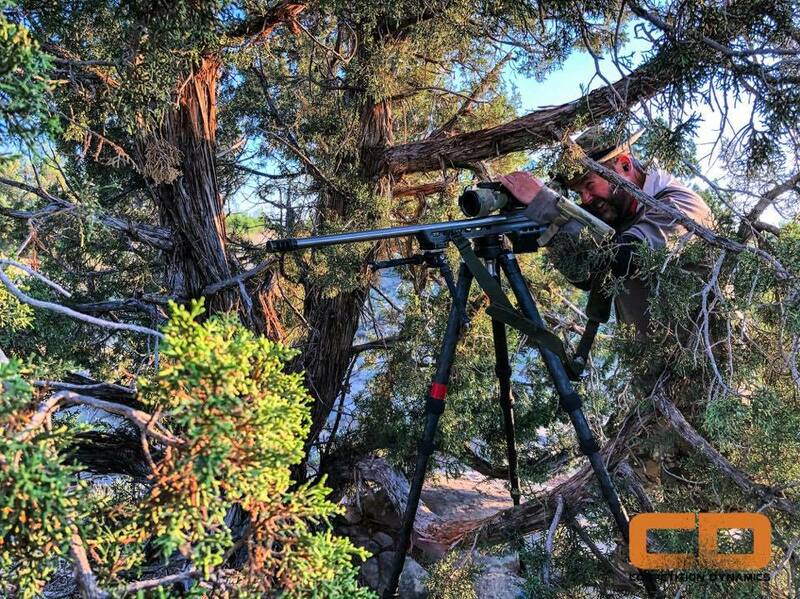 I personally worked much better with LRF Binocs to find and range the targets, writing down the distance and position on a range card and then getting into position and engaging the targets. No doubt that a quality scope with an integrated LRF/Ballistics would reduce the workload even more and enable the competitor/hunter to engage targets they can see with improved accuracy. I bet we see LRFs start to get integrated into scopes in the near future. Overall thoughts. I liked the scope and the integration of the ballistics. Shooters that have been in PRS/NRL for awhile have gone through the learning curve and figured out how to quickly setup their DOPE either through an AB Kestrel, ballistics app like AB, Geoballistics, Shooter or using “old” fashion DOPE sheets created by hand. Having the ballistics built into the scope provides a shortcut or reduction in workload that I believe helps shooters focus on building the position and focusing in on taking the shot. You still need to true up your ballistics with the REVIC, but it was on for me with no extra work (I was surprised by this). I applaud REVIC for bringing a simple to use and robust scope to market. In the end, we speak with our wallets. I’ll be inline to purchase a MIL version of this scope when it comes out. 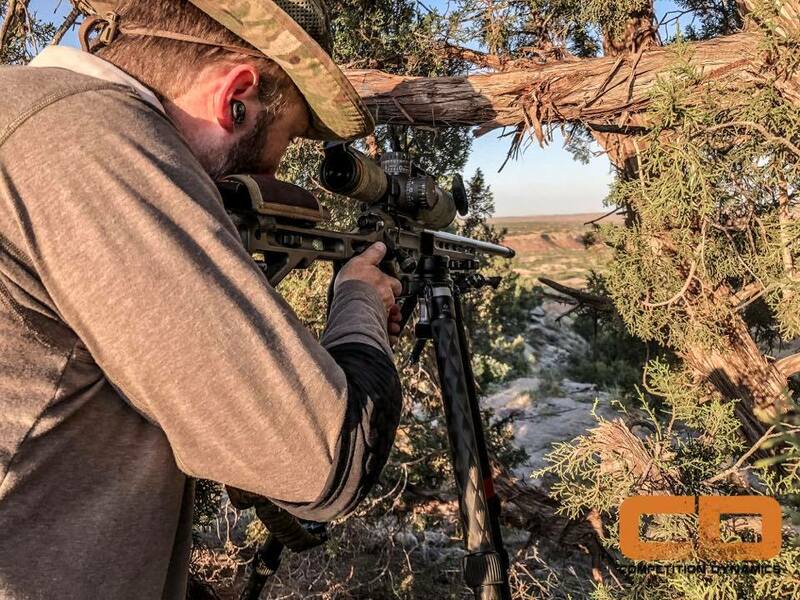 If you are looking for a challenge, come on out to Competition Dynamics Steel Safari match. It usually runs around June 1st. It's a great match that tests your observation and shooting skills. There is a 2 person team version of this match if you want to run it with your buddy. I am not a sponsored shooter and have received no value from REVIC for this review at this time (I’m open to sponsorship though…). Great article bud. I'm definitely going to want to see that scope! Nice write-up and review Tyson. Thanks! I sit here thinking about what to write about brass prep. I do this while sitting in my garage while my Giraud annealer runs my latest batch of brass. I’m getting ready for a ~ 3-400 round month of local and major PRS matches. I define brass prep as whatever I have to do to get new or fired cases ready to load (primer, powder, bullet seating).